Me: What was your first memory of fishing? AR: My first memory of fishing was when i was about 5 years old, my father took me down to the local canal where I got into lots of tangles with the tackle lol. I did somehow catch a small perch though. Me: What was your first pike and why does the pike fascinate you? AR: There was an old sand pit of about 20 acres behind my old school (we use to cross country run around it) the water was full of tench perch and pike. I think my first experience of a pike was when an older boy caught one from this sand pit as i was passing and proceeded to whack the living daylights out of it! 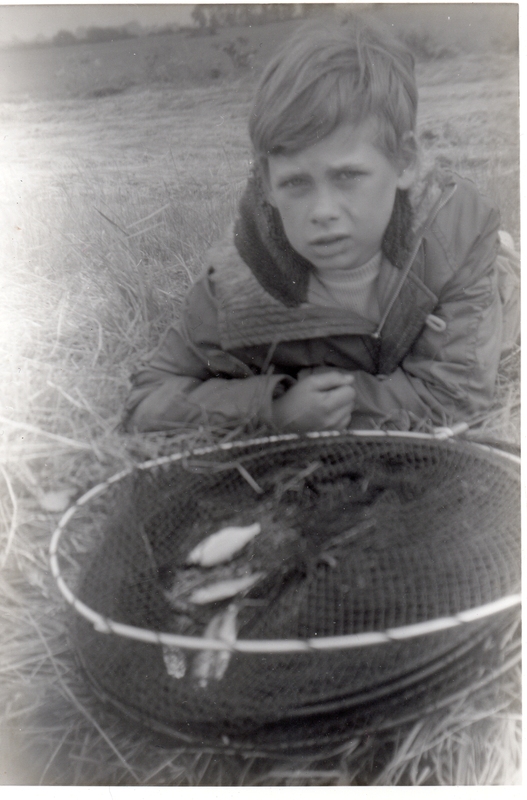 I remember being not impressed with this barbaric action at all, and decided there and then to catch and release one for myself, I think i was about 12 years old at the time. I started reading up on every pike book or article I could find to help my quest. I decided on a mobile approach of sink and draw, and soon after I caught my first pike on a wobbled sprat which was about 7Ib’s. Me: You moved to Ireland in 1994, was it a big change to where you were living? AR: Before Ireland I lived in Cornwall at my grandmothers house, she owned 12 miles of bank and fishing on the river Camel, the Camel is a good sea trout and Salmon river. Cornwall is not unlike Ireland, it’s very rural with many small farms and narrow lanes. 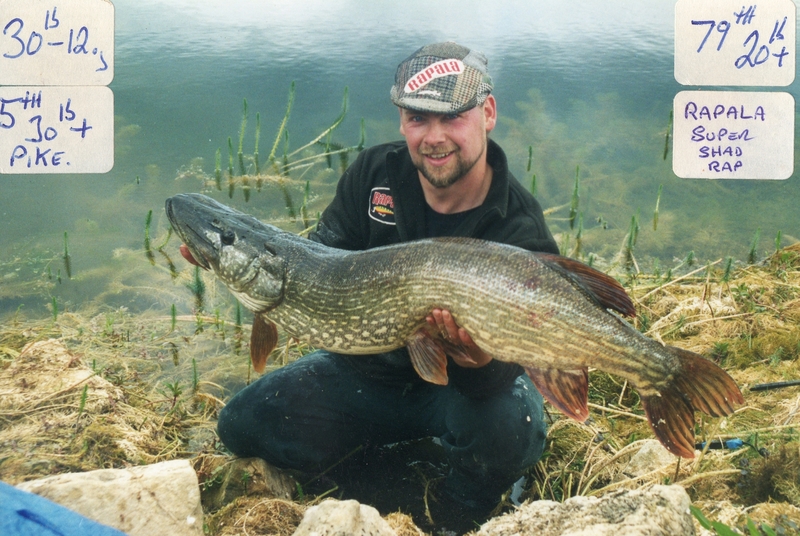 Not many pike there though, my spare time was spent sea trout fishing and sea fishing. So not a huge change really. Me: You have caught an insane amount of big pike, can you give us a run down of the numbers? 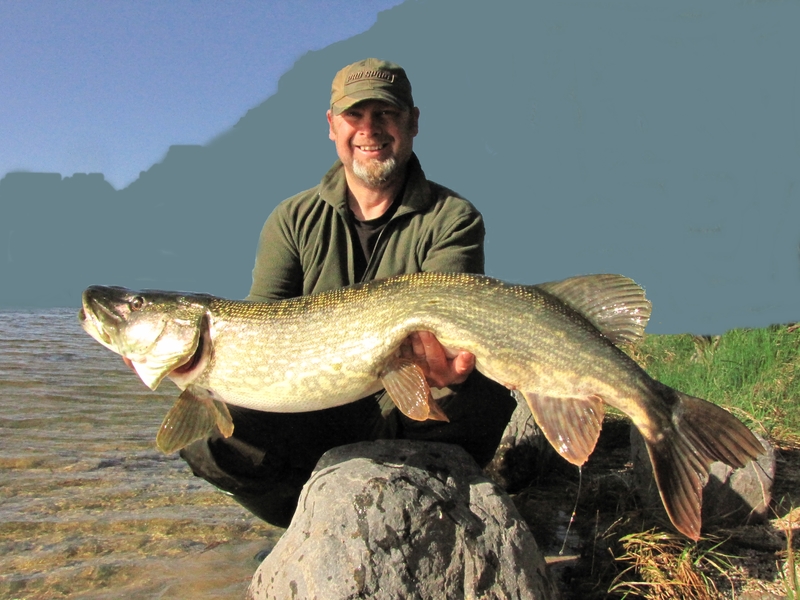 I have kept detailed fishing diaries over the years so I have kept up with my progress, interestingly I left the UK with a humble 11 UK 20Ib+ pike to my credit, best going 27Ib.08oz. Me: What catch was your most exciting at the time? AR: This has got to be my PB 32.12, it was a wonderful January day back in 1998, blue sky high pressure with a touch of frost to start the day off. The day started with a 21Ib’er in the morning then the fishing went quiet until my next take which was in the afternoon on a PU herring. The pike was in spawn but not full, and was defiantly one of the better pike in the Lough at the time. The local farmer was passing so I called him over to witness the weighing of the fish and take some photographs which didn’t turn out to well lol, so before returning her I took some more with the self timer which thankfully turned out much better. Sitting in my chair after wards it dawned on me that i had just caught the Lough record, and still hold it to this day as far as i’m aware. Me: What will be the next frontier of Irish piking or are there any left? 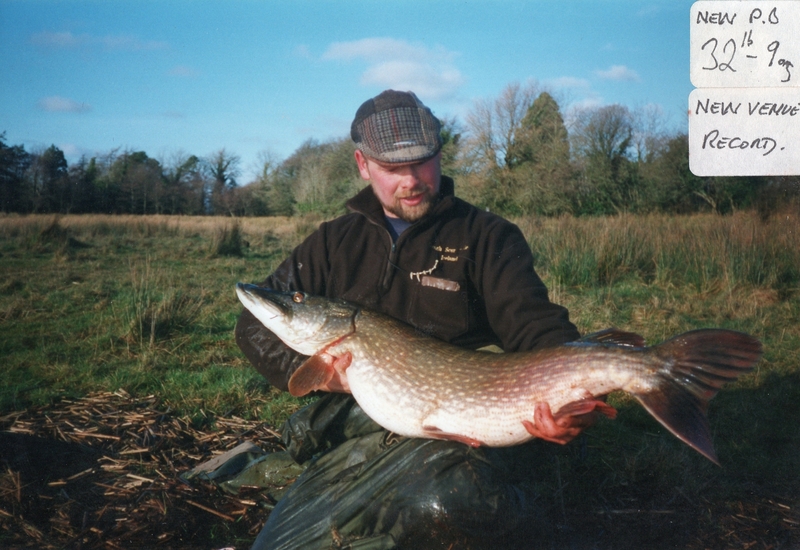 AR: Don’t think there are any left myself, we all wish the IFI would stop gill netting pike from the western and midlands loughs, as this could be the next BIG one for Irish piking for sure. The huge economical benefits this would bring to the regions and the country in general would be incredible. 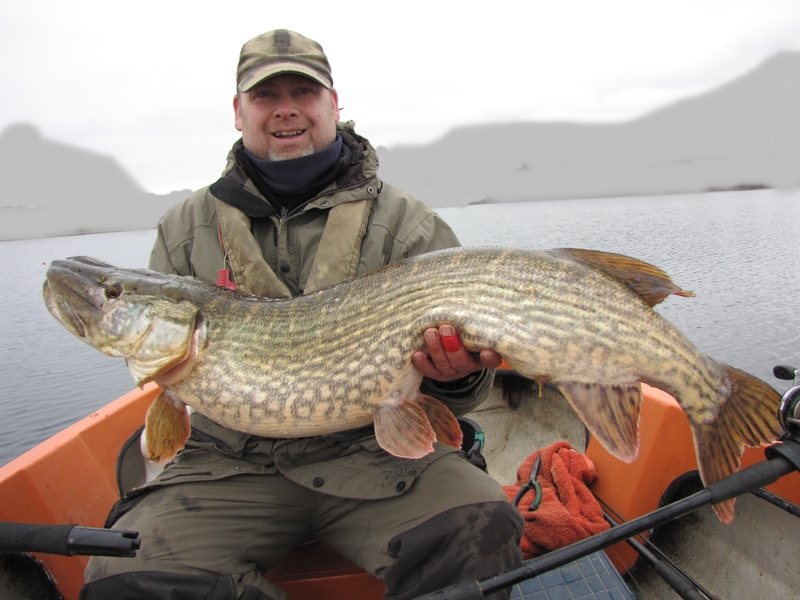 Increased pike anglers visiting the country for sure, but only if the Loughs are left alone to recover to a natural normal state growing some of the worlds largest pike! It really is a gold mine! Me: What are your favorite UK waters? 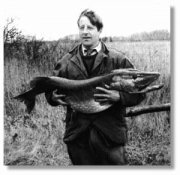 AR: Got to be the Norfolk Broads for me, and in particular the Thurne system, there is so much pike angling history there, I remember reading the Anglers mail book in 1977 about Peter Hancocks 40.01 monster pike form Horsey Mere, and then Denis Pyes catches, and Jim vincent’s too. 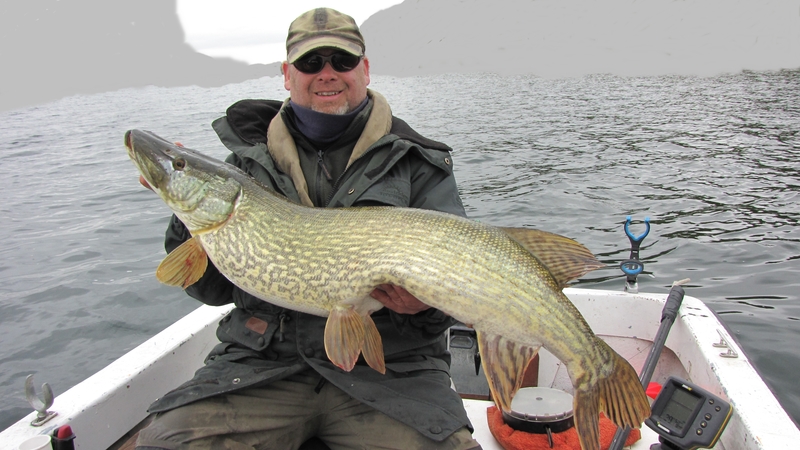 I have been lucky to have fished and worked a free roving live bait in the same areas as the above famous pike anglers have done, and it was a real special feeling to do so. Me: Where in the world are the biggest pike and where would you go on a worldwide piking trip? AR: That’s easy, Lough Mask Ireland if the ‘Irish Fisheries Ireland’ just leave it alone for about 10 years!!!!! But at the moment because of the crazy ongoing slaughter and pike removal from the best big pike water in the world Lough Mask!!! most probably the Baltic sea, and some of Hollands huge waters too. 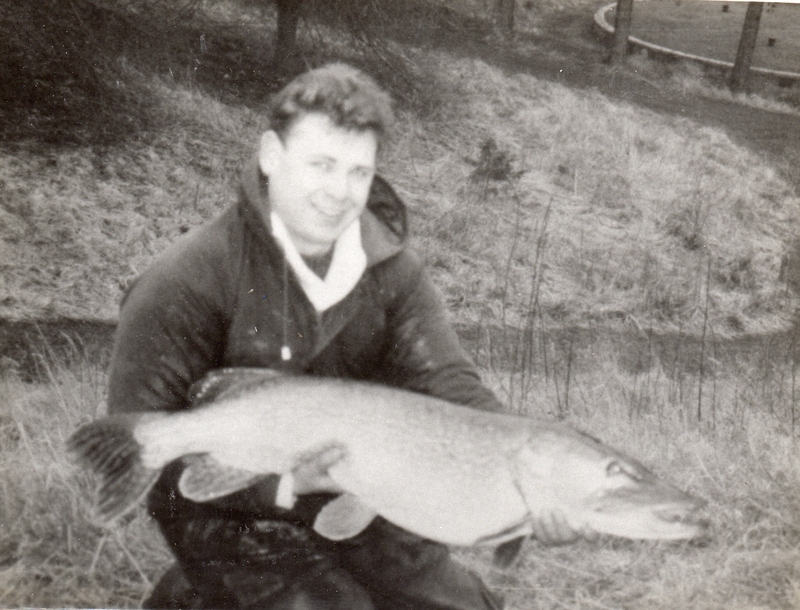 Me: If you hadn’t have been born a pike angler what kind of fishing would you have seen yourself doing? 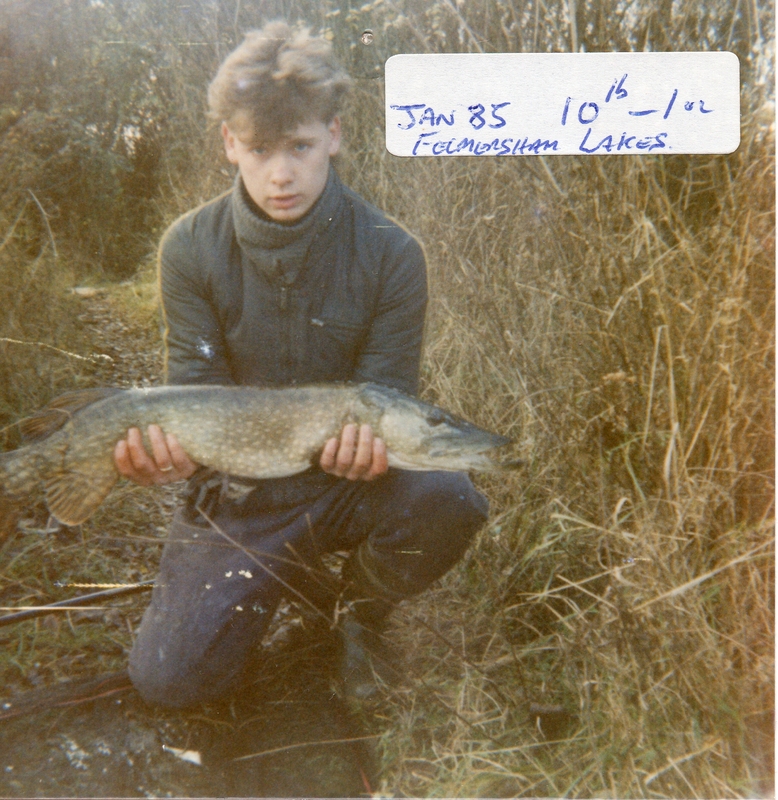 AR: Well I was born an angler, started course fishing first then some pike fishing then went into match fishing for years with odd days in the winter piking. Then dabbled in seas fishing, and game fishing so I’m actually an all rounder, but have specialized in pike fishing here in Ireland. Me: And finally Al, what are your plans for 2014? AR: Good question lol, Pike fishing in Ireland has changed so much in recent years from one thing or another, the weather and water conditions are so important to keep on catching and last winter was so bad that the pike fishing became so slow I really or nearly lost my heart for it for a while there! The good thing is I’m still learning about what waters fish in certain conditions, and if we have another winter like the last i will be out there fishing the waters where I have a good chance of catching a 20Ib+ fish from. Cant say which waters they are of course here, or even what county, but I can say the Shannon system was a waste of time last winter. 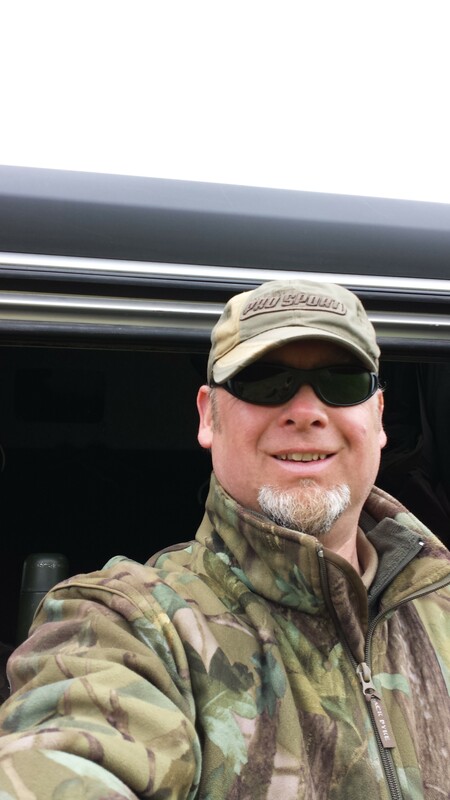 This entry was posted in Interviews, Pike and tagged Al Rawlings, Pike. Bookmark the permalink.